Last year was one of the wettest years on record. What that means is that the amount of disease pressure was at alarmingly high levels for longer periods of time than we would typically have to deal with. One of the most common complaints we heard about here at Fertrell was the diseases and how bad they were and how we could help contain the issue. A fair amount of what we were dealing with were the soil borne diseases. To which there are several types that can be substantial damage to both yield and quality. Nearly all of these can make or break a produce growers season if let unchecked. There are different types of soil borne diseases and I want to familiarize you with them and how we at Fertrell can help deal with them. The first is damping off; which is a generalized term for several different pathogens; Fusarium, Pythium and Rhizoctonia species are the most common. Which can be either Pre- or PostEmergent. Pre-emergence damping-off is where young seedlings decay in the soil before they appear above the soil surface. 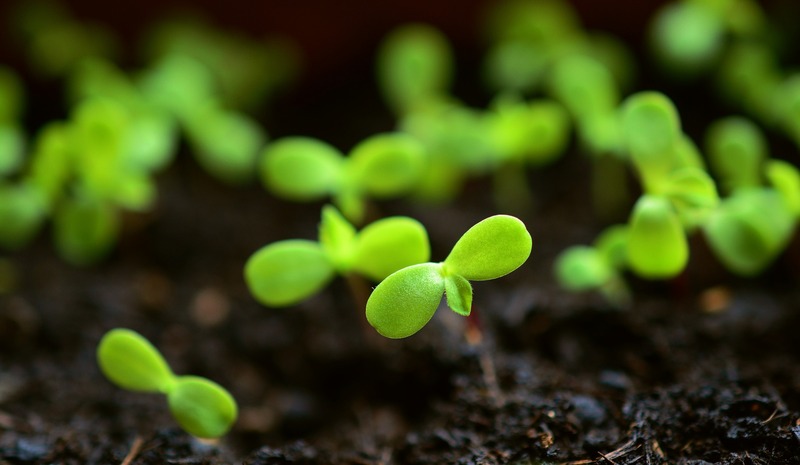 This occurs when conditions for seed germination are poor, such as cold, hot or very wet soil, poorly-drained soil, compacted soil or in the presence of undecayed organic matter. Post-emergence damping-off is where stems and roots of tender seedlings are attacked at the soil line and the seedlings fall over. High salt concentrations in the soil also cause damping-off. Root Rots are another type of soil-borne disease. Root rots can invade the internal root structure and interfere with water and nutrients being moved within the plant. Root Rot can look like loss of vigour, leaf yellowing, leaf drop, wilting starting at the growing tip, twig dieback, and sudden death above ground. Now that you are aware of some of the more common issues and the damage they can do to your operation. We want you to be aware of how you can best counteract these issues. Remember, when it comes to organics it is about preventing an issue rather than dealing with it when it arrives. We carry products such as Regalia by Marrone Bio-Innovations, a product I am sure many of you are familiar with which helps increase the plant's own ability to fight off diseases and is recommended in a transplant solution accompanied by Fertrell Liquid #3 to ensure a good strong start to your seedlings. We also just began carrying another Marrone Product known as STARGUS. A product that is able to help other various diseases throughout the growing season. It performs exceptionally well on pathogens such as Downy Mildew. We also have more traditional means such as horticultural oils in certain circumstances such as orchards because the film that is created by the oil makes it more difficult for the spore to infect the disease once it has developed within the soil. We do our best to make sure that we are able to provide top quality products and guidance. We will work with you to understand your operation and help you create a custom tailored disease management program. If you have any questions about these products, diseases, or anything else please do not hesitate to speak with one of our Agronomists such as myself and we will gladly do everything we can to make sure that you are successful in getting off to a strong and healthy start.